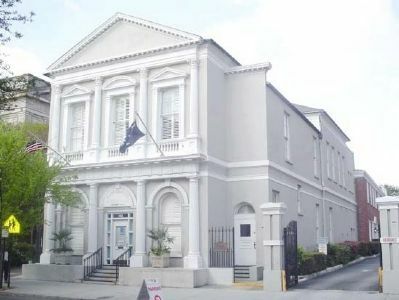 Approved by The Historical Commission of Charleston, S.C. Location. 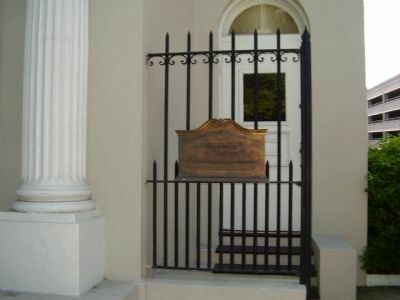 32° 46.729′ N, 79° 55.888′ W. Marker is in Charleston, South Carolina, in Charleston County. 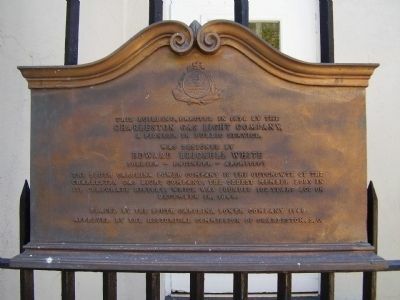 Marker is on Meeting Street. Touch for map. 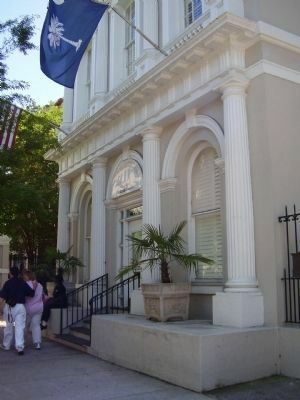 Marker is in this post office area: Charleston SC 29401, United States of America. Touch for directions. marker); The Independent or Congregational Church of Charlestown (within shouting distance of this marker); Burger's Tavern (about 400 feet away, measured in a direct line); 54 Queen Street (about 400 feet away); Trott's Cottage (about 500 feet away); The Nicholas Trott House (about 500 feet away). Touch for a list and map of all markers in Charleston. More. Search the internet for Charleston Gas Light Company. Credits. This page was last revised on June 16, 2016. This page originally submitted on May 20, 2009, by Stanley and Terrie Howard of Greer, South Carolina. This page has been viewed 808 times since then and 9 times this year. Photos: 1, 2, 3. submitted on May 20, 2009, by Stanley and Terrie Howard of Greer, South Carolina. 4. submitted on February 7, 2010, by Michael Sean Nix of Spartanburg, South Carolina. • Craig Swain was the editor who published this page.